Queensland Tree Loppers specialize in removing tall dangerous gum trees from small yards when their is very little room for error. We use experienced operators and quality equipment to provide the best possible tree lopping service for our Queensland customers. We have over 20 years experience tree lopping on the Redcliffe peninsula & surrounding suburbs. A native tree that has grown up in an area untouched by man has the ability to prune itself by dropping unwanted branches/leaves/fruit/nuts/etc. The decomposing matter in the soil supplies the needed food for the tree to continue its life. Unfortunately this process is not true in an urban landscape. Fallen material from a tree can pose a hazardous situation and cleanup is generally needed. 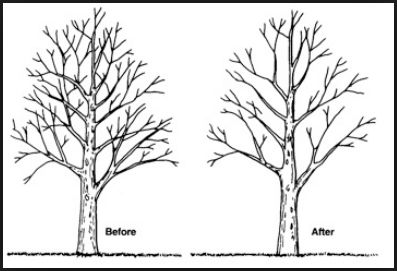 Tree lopping / tree trimming in an urban landscape, if done correctly can improve the tree vitality & appearance and preserve structural integrity of the tree. Improper trimming or tree lopping results in poor tree vitality, unsightly appearance, and hazardous structural integrity. Reasons for tree lopping /tree trimming are to remove dead branches, to remove crowded or crossing limbs that may create future structural problems, to eliminate hazards and to slow growth rate by removing foliage. Trees can also be trimmed to reduce wind resistance or to increase light penetration. The best time to trim trees depends on the desired results. To maximize growth, trim just before the period of rapid growth in early spring. To minimize growth, trim after the growth flush is complete for the season. Flowering can be reduced or enhanced by pruning at the correct time for certain species. Fruit trees can be trimmed before or after bloom to enhance or limit fruit production. Proper structural tree trimming of young trees will develop into structurally sound trees that should require little corrective pruning as they mature. A tree that will be large at maturity should have a sturdy, tapered trunk, with well-spaced branches smaller in diameter than the trunk.